We have been helping our customers look and feel fantastic since 2001. From the humblest beginnings, the business has grown without losing our soul or personality. 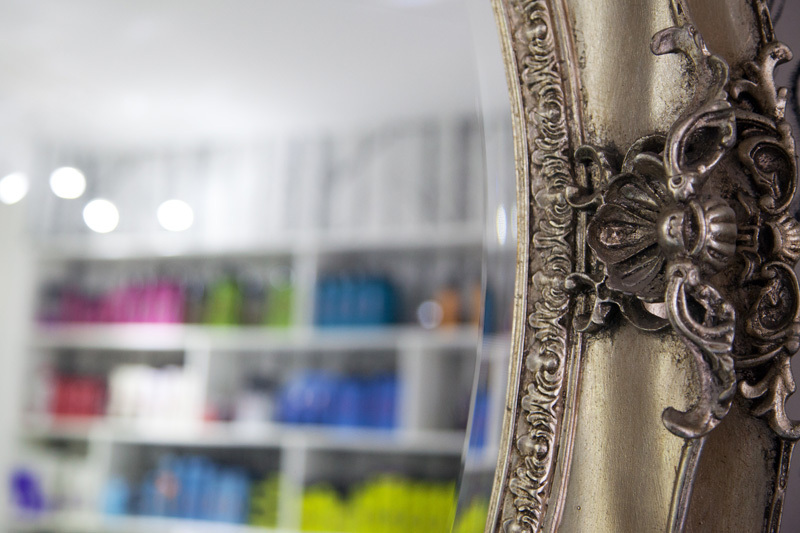 We are proud that our newbury salon stands out from the crowd in providing a vibrant and enjoyable experience. Hair should be fun! We will do whatever we can to help you enjoy your hair. We are hair specialists and will continue to train and invest to a level that shows a professional commitment. We will continually seek brave ways to innovate in our work. We will use our passion to inspire our customers. We will do all of this with a genuine smile. Newbury has a large number of hairdressers so when looking for a new place to get my hair cut, there was plenty of choice. Fortunately that choice was made simple when I stumbled across Bravo. It was clear from the website, the loyalty offers, the humorous blog and the raving customer reviews that this was a different type of hairdressing salon and one that I needed to try. I booked an appointment online (so simple!) with Jo under the new client package (very good value offer that bundled my first cut and finish, with the choice of a free hair product to take home, a conditioning treatment, an envelope full of vouchers to use for future visits and some free product samples to try at home!). What a lovely review Tania! Thank you so much. I'm pleased we met your expectations and we look forward to welcoming you back to Bravo soon. Warm regards, Phil Jackson, Manager. Cannot thank Kate enough for the haircut she gave me today!! FINALLY love my hair, she has done a fantastic job and really knows her stuff!! Lovely girl! Thank you! Best colour and cut I've had, and I've been around a while. First visit and certainly not my last. Certainly worth the £. Cheers ???????? Great service and lots of excellent advice from Scott. Back to work on a very windy day and hair still looks great. Thanks you. I have been a customer since Scott and Phil opened their salon in cheap street, I am always made to feel welcome and they make me laugh always happy staff. I must drive them mad sometimes, but they always give great advice and customer service,wouldn't go anywhere else. Thanks guys. Love it! Love it! Love it! Every time! Ive been using Bravo for about a year and just have the most amazing experience every time. They've supported and encouraged me to try new things which always look amazing and work well for me. They're friendy, funny and I always feel they've gone the extra mile for me. Now the whole family gets their hair cut at Bravo and enjoy the same expedience I do every time I go. Highly recommend everyone at Bravo but if your purse allows, definitely have a cut with Scott, the owner and manager. An amazing haircut by Scott. Even 3 weeks on, it brings out my natural white streak as a highlight and I've had lots of compliments. Service was as always excellent, I wouldn't trust anyone else with my hair. Thanks for the review Vee. Scott will be very smug! Lots of love, Phil. Thanks Kate for a great friendly, warm welcome. You did a fab job and I am really pleased with my hair. Felt like you really listened to what I wanted and made sure I felt happy before you started. I've been going to Julia at Bravo since I moved to Newbury a couple of years ago and I can't imagine having my hair cut by anyone else. She always does a brilliant job, listens to what I want and makes great suggestions. We always have a good natter when I'm there too and no matter how stressed or fed up I am when I go in, I leave feeling happy and chilled out. I'm growing my hair out at the moment and so I don't get to go and have it done as often as I'd like but when I do, my hair always looks fab. The highest quality of cutting and treatments is matched by the excellence of personal attention and service. Both my wife and I are regular clients and we appreciate the personal attention that we receive and the outstanding quality of hairdressing. This salon is without parallel locally! Always love coming in and being spoilt. Wonderful experience. Very relaxing. Staff brilliant would highly recommend. As I have come to expect the experience at bravo was excellent. Am never disappointed. A warm welcome and a hot chocolate! What can be better!! Thanks for your review Tina. The team love getting 5 stars! We look forward to welcoming you again soon, Phil Jackson, Manager. It is so refreshing to have someone cut my hair that takes into consideration the type of hair I have and how the shape works with my face. Amazing hair cut. Lovely salon. Excellent friendly and professional service.